Official Release Date: July 18, 2017. We are pleased to announce the release of Endless OS version 3.2! This major release brings some exciting changes with a refreshed desktop, great visual improvements, and more offline apps for our users in Southeast Asia to enjoy. Since this is a major release, make sure to update your OS (Settings > Details > Check for updates now), before you update your apps from the App Center! 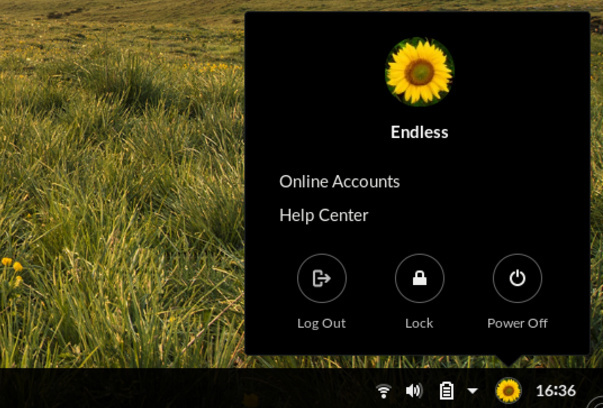 Endless OS has received a refreshed desktop that looks great and makes it easier than ever to search for and find anything you need. The user menu has moved from the bottom left of the screen to the bottom right. In its place, the Endless logo on the left will now take you straight to your desktop. Just press the button once to hide all of your open windows and access your desktop – and then press it again to get back to the open windows that you just had. We no longer support default Facebook integration in the bottom bar. Users can add a shortcut to Facebook on their bottom bar by adding Facebook as a web app and then pinning it to the taskbar. 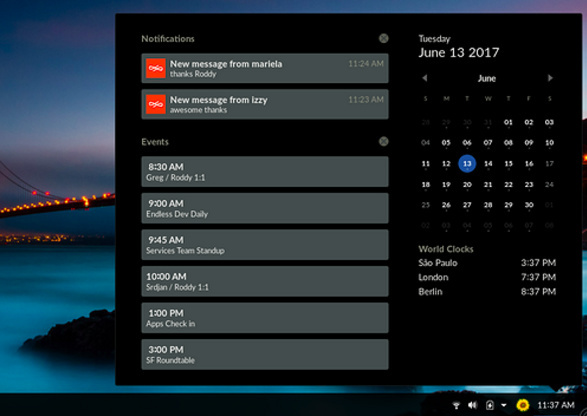 The bottom bar also includes cool new features like calendar notifications to help keep you up-to-date with what’s happening in your day. We’ve updated desktop folder icons to display the apps that they contain. We hope that these visual improvements will help users who are familiar with smartphone app folders. As a benefit, existing users will now be able to identify the app folder content more easily. We’ve added even more power to the global search bar so that you can use it to look for and find more things straight from your desktop. If you need help, or want to find a new app, just start typing to pull up results from both the Help Center and App Center alike. Default to user accounts with no password. When you set up your Endless machine for the first time or add a new user, the default is now to create accounts with no password. This is simpler for users setting up Endless computers at home, and should reduce complications faced by people who have lost their passwords. If you wish to increase the security of your system, you can still choose to set a password on your account. Lock screen / screensaver. When locking the screen, a screensaver is displayed. This lock screen can be lifted by clicking or dragging up with the mouse. Or, if a password is set, you may start typing the password and the screen will be lifted automatically. By default, the screensaver is one of the default Endless wallpapers, but you can select a different picture via the control center (All Settings > Background > Lock Screen). Enabled MP3 encoding in the OS. It is now possible to save .mp3 files from the Audio Editor app (Audacity), as well as use the Music app (Rhythmbox) to import CD audio in MP3 format. Tap-to-click enabled by default. We have now enabled the tap-to-click feature on touchpads by default. This feature allows people to tap the pad to simulate a mouse click. If the touchpad is too sensitive and you experience undesired clicks, tap-to-click can be disabled via the control center (All Settings > Mouse & Touchpad). Mouse natural scrolling. Previously, natural scrolling direction was only supported for touchpads. Now it can also be enabled for a mouse scroll wheel via the control center (All Settings > Mouse & Touchpad). Suspend on desktop computers. The ability for desktop computers to suspend to RAM was previously disabled due to problems on some hardware. These problems have been fixed, and now pressing the hardware button suspends desktop computers by default (matching the pre-existing behavior on laptop computers). Install downloaded flatpak apps. Apps that have been correctly built in the flatpak format (and their specified runtimes) can be installed via the Endless App Center by clicking on .flatpakref files, for example by downloading from http://flatpak.org/apps.html. Replaced VideoNet with YouTube web app. The YouTube web app has more functionality and smoother video playback on many hardware platforms than our internally built VideoNet app. Although the VideoNet app is no longer available for download via the App Center, existing users can continue to use the app until it is removed from the device. To add the YouTube web app to the desktop, right click on the desktop and select Add Website > Entertainment and click the “+” next to YouTube. Replaced Endless Weather with GNOME Weather. We’re excited to make the GNOME Weather app available since it has more features and is more reliable. Although the Endless Weather app is no longer available for download via the App Center, existing users can continue to use the app until it is removed from the device. We strongly encourage users to install the new Weather app from the Endless App Center. Improved dual-boot installation on BIOS computers. On computers with BIOS firmware, the Endless Installer for Windows now adds Endless OS to the Windows boot menu, rather than replacing the Windows bootloader. This should address some very common issues where Endless OS failed to install, and reduces the chance of not being able to access Windows after installing Endless OS. Windows XP and Windows Vista are no longer supported. These versions are not supported by Microsoft, either. Windows 7 or later is needed to run the Endless Installer for Windows. Improved boot menu on UEFI computers. On new dual-boot installations on computers with UEFI firmware, the GRUB menu will now show only one entry for Endless OS, rather than showing two entries after an Endless OS upgrade. Removed interactive tutorial and tutorial videos. The old tutorials were outdated and difficult to maintain, especially after the major refresh to the desktop. The old videos also consumed a lot of disk space. We intend to revisit this with a more sustainable solution in a future release. Removed ability to change app names on the desktop. 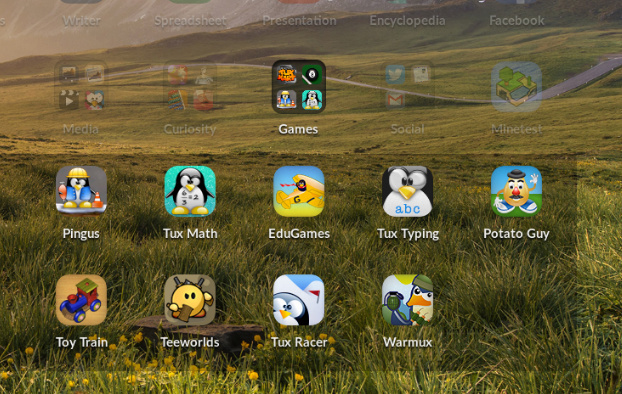 The user can edit folder names, but we have decided to no longer support user changes to app names on the desktop. This is a permanent change. Cannot drag apps within folders. Dragging in or out of folders works fine, but it currently is not possible to drag inside of a folder to change the position of icons. This will be fixed in a future release. Cannot drag apps from inside folder to the trash. For now this is a two step process of dragging the app out of the folder to the desktop, and then from the desktop into the trash. This will be fixed in a future release. You can download the windows dual-boot installer or DVD/USB stick images from our downloads page. You can also help by seeding the ISO image on Bitrorrent. And we encourage you to make copies of Endless OS to share with your friends and your community. Hello, the download page for Linux still shows the older Endless OS 3.1 version. This is for both basic and full downloads. @uncertainquark We are building the basic and full images now and hope to make them available for download on Monday after we perform our QA testing. In the meantime, if you download the 3.1 version, you can “check for updates now” to upgrade to version 3.2.
to get either of the two downloads. This gives: “Endless-installer.exe” 3,330,128 bytes. Running this gives two choices. First download either of two files. Endless OS Basic (recommended 16 GB on drive C: - only?) - 1.6 GB to download. I can’t update my Endless OS. I have the Endless 3.0.9. When I use the pathway you showed it says “there was an error during the updating”. What should I do? I’m stressed because it doesn’t open Firefox, Chrome, etc.